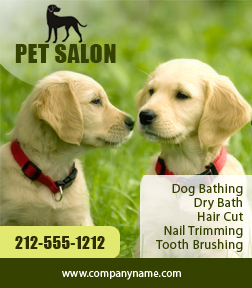 A 3.5 x 4 inch square corner pet grooming magnets can be sought by pet services to promote their business. This magnetic sticker makes a good business gift in all seasons and pet store owners can seek it with all might because it gives them easy attention and improves their visibility amongst audience. A customized pet grooming magnet makes a good business gift in all seasons.